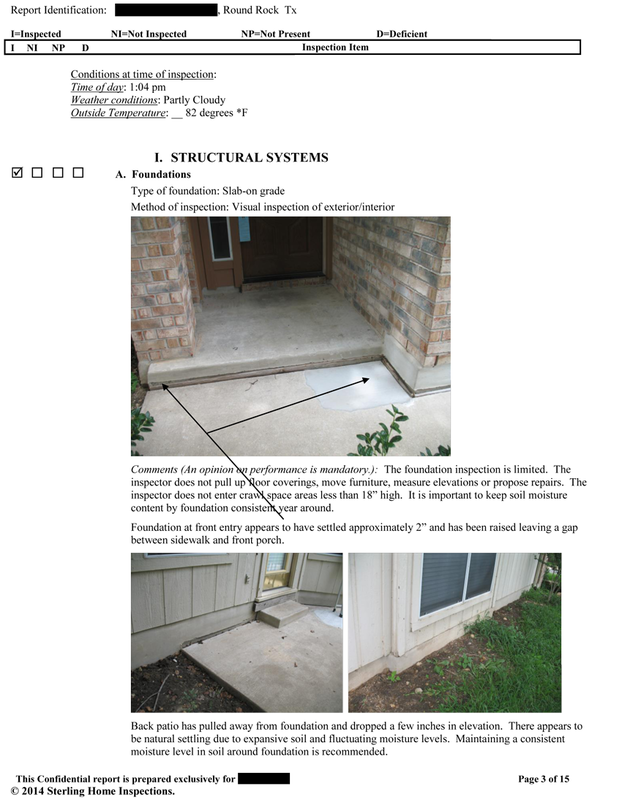 Below is a sample report. 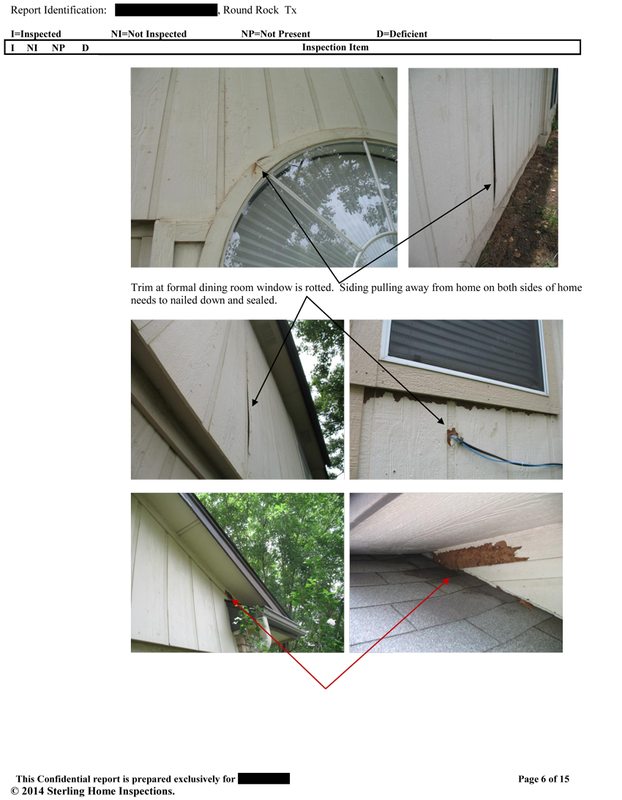 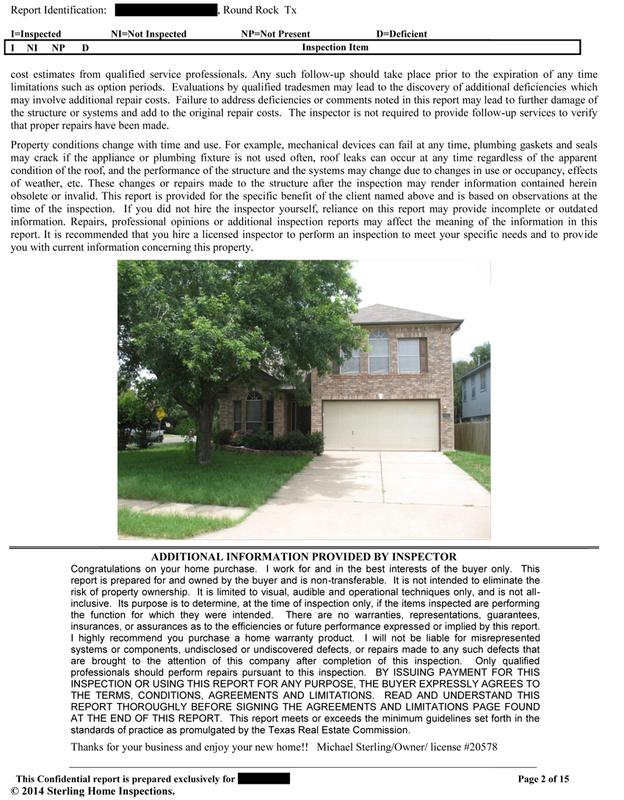 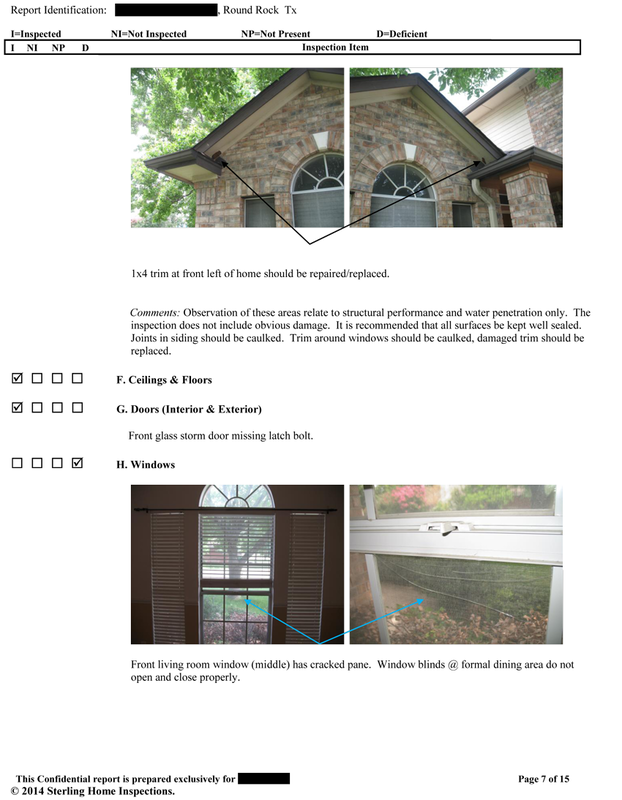 It is indicative of the type of report you should expect from Sterling Home Inspections. 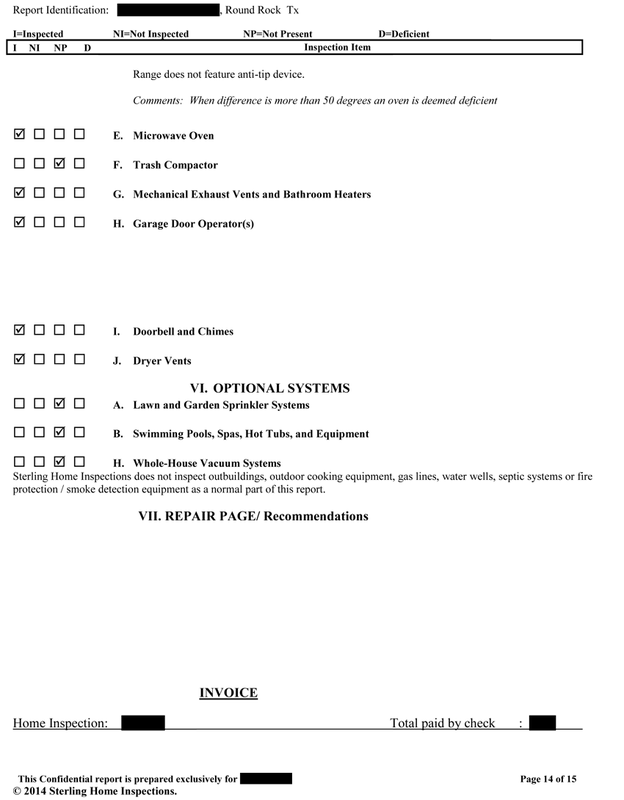 Please review to get a feel for the type of report you could expect to receive. 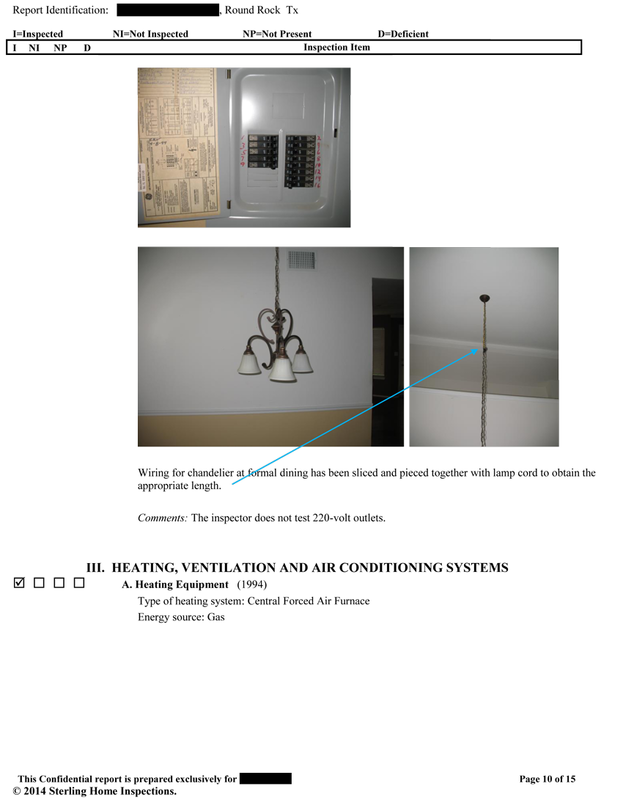 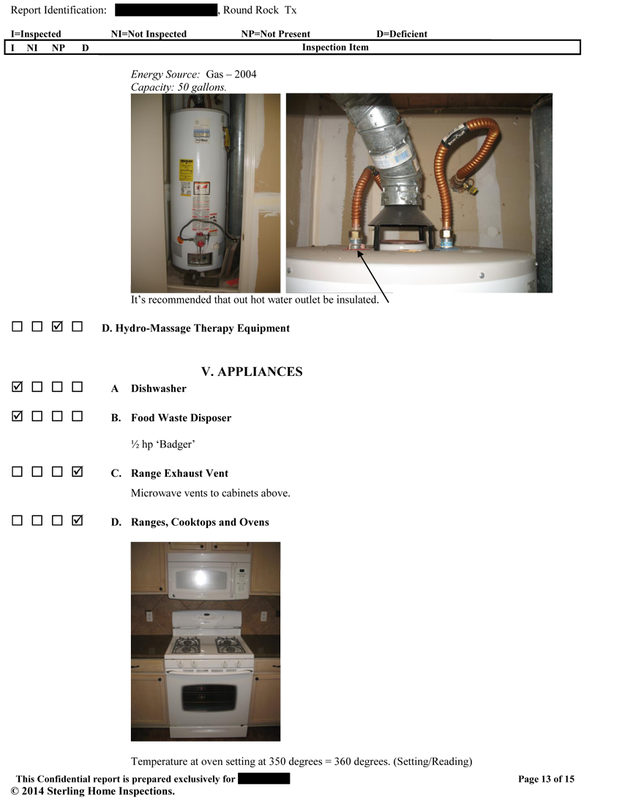 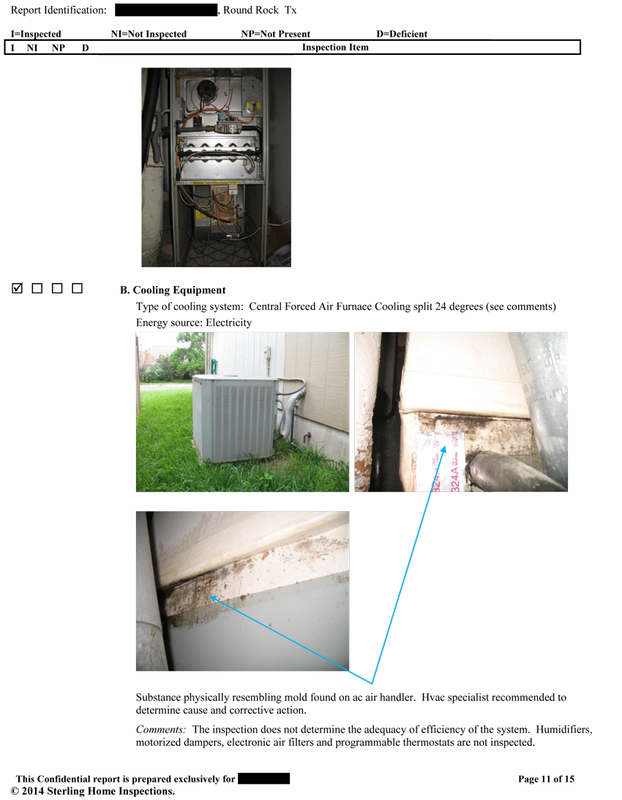 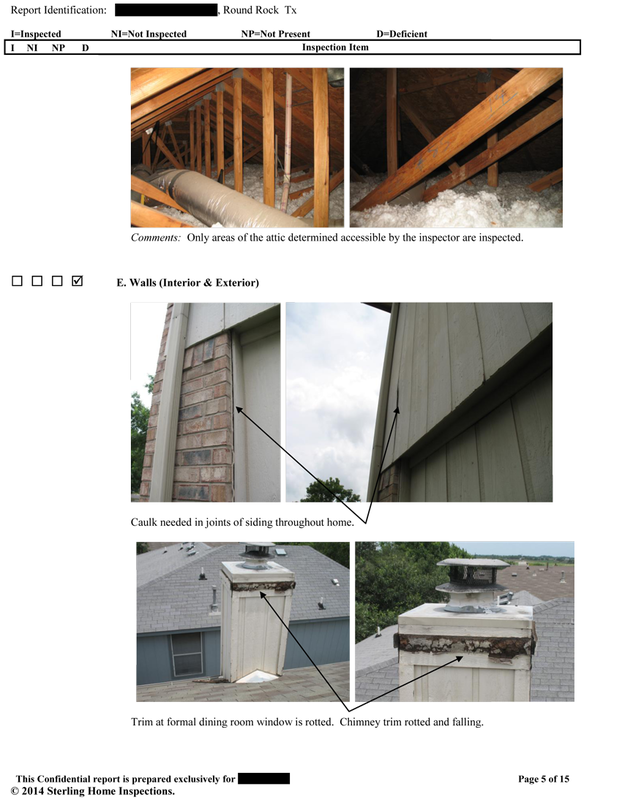 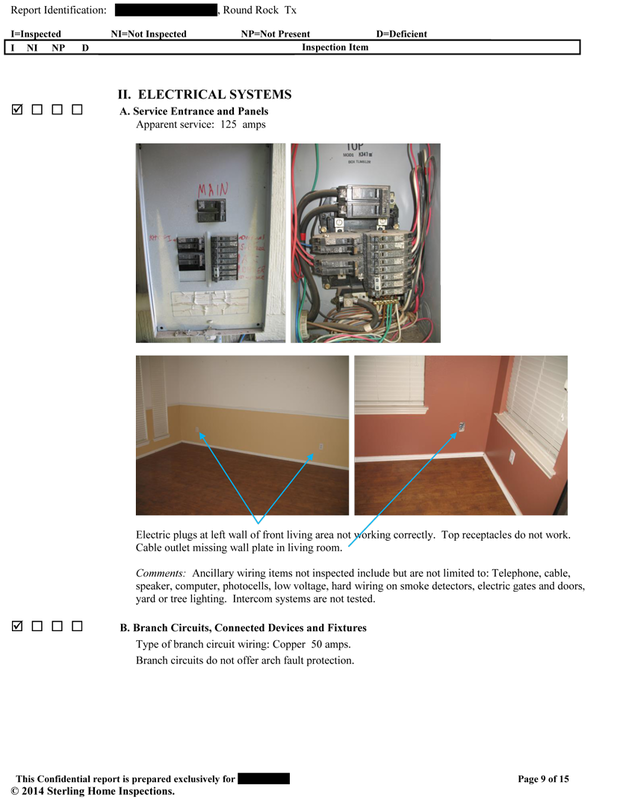 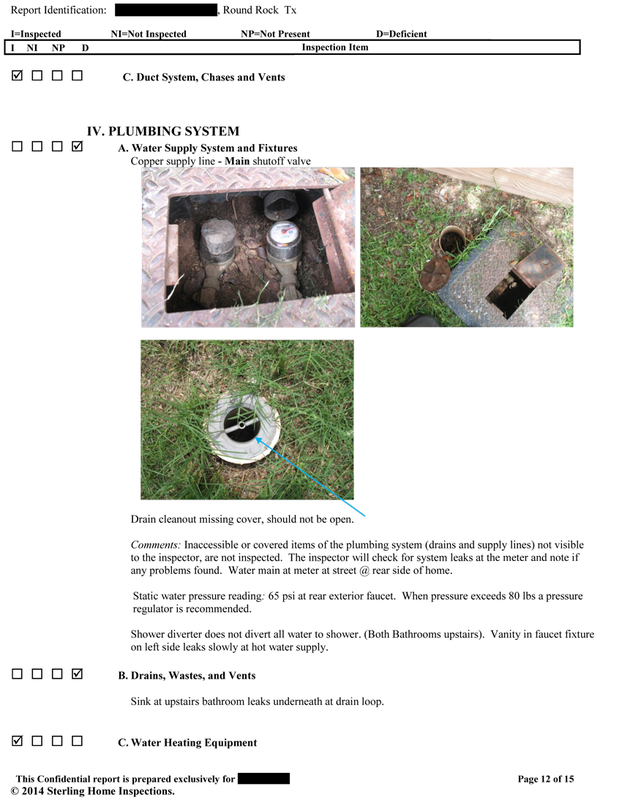 A lot of inspectors do not carefully illustrate all findings on the inspection report. 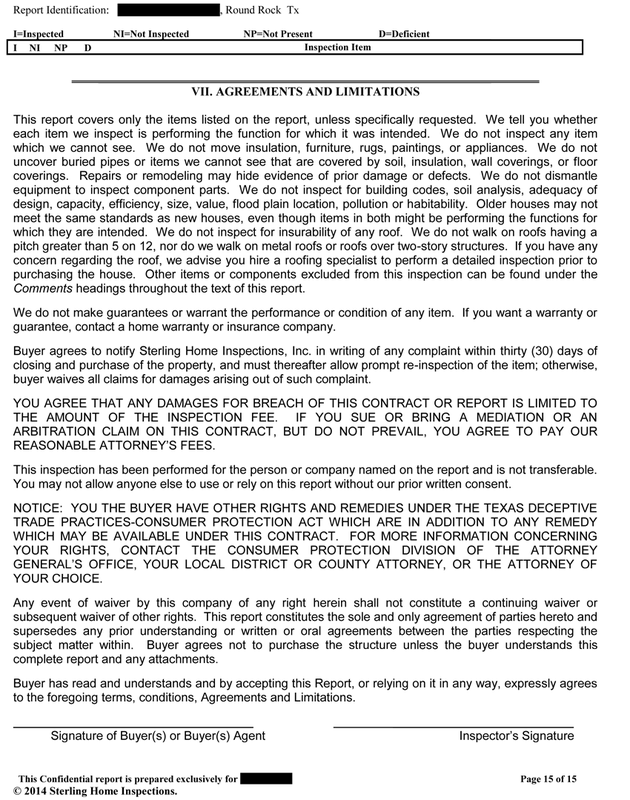 Often what you will find are pretty much short hand notes listed at the end the Trec promulgated forms. 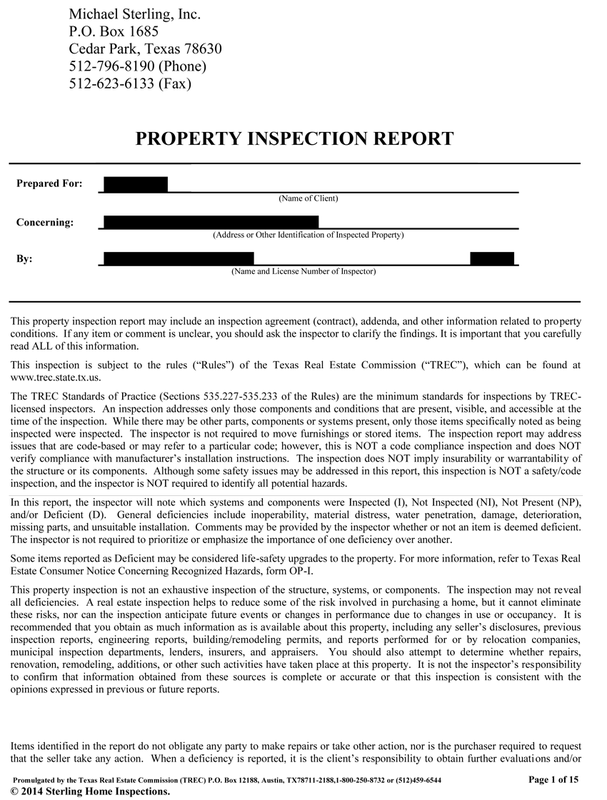 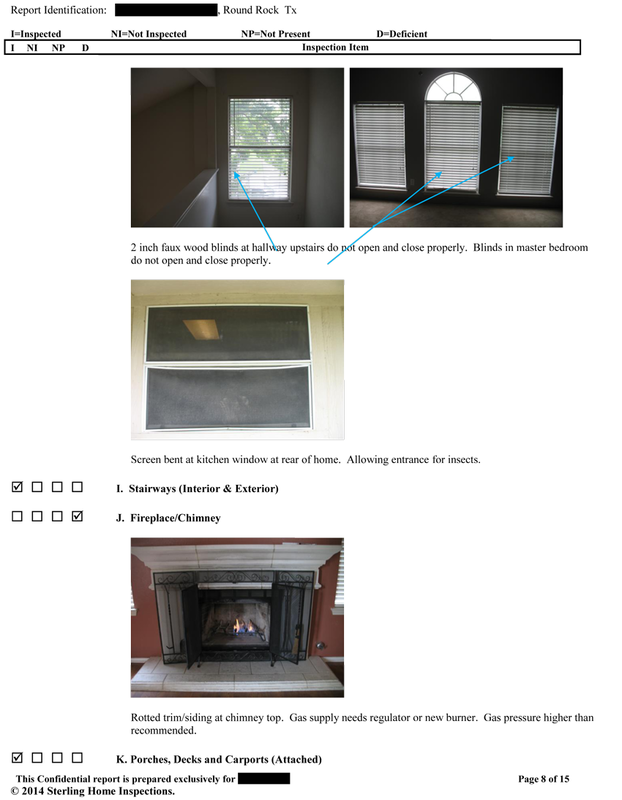 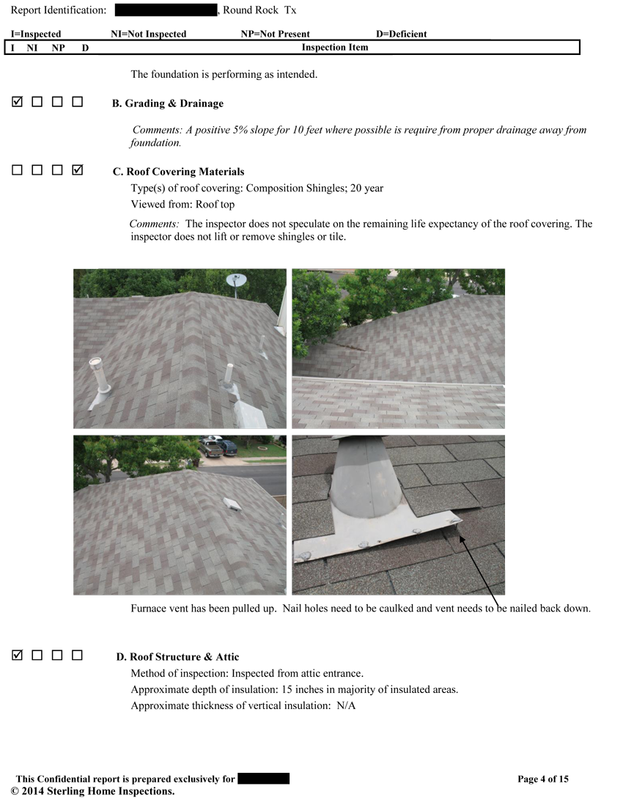 The reports you can look to receive from Sterling Home Inspections will be a document you could refer to at any point in the future and still have an idea and clear point of reference to the finding on the inspection report.